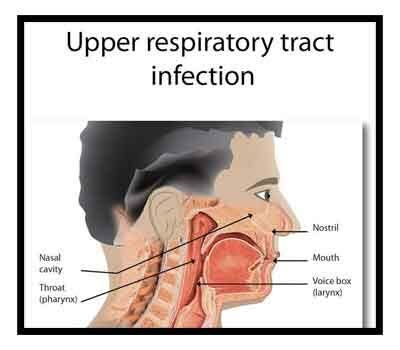 The upper respiratory tract infections (URTI) are mostly due to viral infections and therefore role of empirical antibiotics is limited. In pharyngitis a throat swab is collected but in other conditions mostly sampling for culture is not possible and not routinely done. Case Definition : It is an infection or inflammation of the middle ear. Common bacterial pathogens : Streptococcus pneumoniae, Haemophilus influenzae, Moraxella catarrhalis. Tympanocentesis is not required. Usually it is an empirical therapy. It is important that if there is a perforation we realize that it is likely the organism isolated is a colonizer, and treatment based on that will not be appropriate..
S. pneumoniae in India is susceptible to penicillin (usually < 4 %) and so β Lactams can be given. H. influenzae and M. catarrhalis produce β Lactamase (around 23% and 73% respectively) and need treatment with amoxycillin-clavulanic acid. Case Definition : This is an infection of the sinuses. Viral etiology is more common and amongst bacteria common causes are Streptococcus pneumoniae, H. influenzae , Moraxella catarrhalis. If symptoms are < 10 days in duration and resolving, there is no need for antibiotics. H. influenzae and M. catarrhalis produce β Lactamases (around 23% and 75% respectively) and need treatment with amoxycillin-clavulanic acid. Case Definition : This is an infection or inflammation of the pharynx or tonsils. Viruses cause the majority of these infections. Amongst bacterial causes, Group A Beta Hemolytic streptococci is responsible for pharyngitis. Other bacteria to worry about are Fusobacterium necrophorum which can cause Lemierre’s syndrome and Corynebacterium diptheriae which causes a membranous tonsillitis causing respiratory compromise and other manifestations like myocarditis. A throat swab is collected (if possible 2 swabs should be collected) using a sterile cotton swab, under direct visualisation without touching the tongue or buccal mucosa. The swab should be transported to the lab at room temperature. Most often no treatment is required. But if the patient is febrile for more than 3 days with pus points on tonsils, painful cervical lymphadenopathy only then a short course of antibiotics may be warranted. S. pyogenes remain sensitive to Penicillin/Ampicillin. The reports on erythromycin resistance from India are now increasing (>45%) and therefore antimicrobial susceptibility should be done. Rarely follicular tonsillitis and peritonsillar abscess may occur due to Staphylococcus aureus and can also present as URTI. This should be confirmed with culture and antibiotic to be given accordingly. oral BD for 7 Days Azithromycin 500 mg OD for 5 days. cough persisit antibiotics are indicated. (Cover oral anaerobes) Clindamycin 600 mg IV 8 hourly or Amoxicillin clavulanate 1.2 gm IV Piperacillin tazobactam 4.5 gm IV 6 hourly 10-14 days and then can be prolonged based on response. Diphtheria may be present in rare cases but due to universal immunization is not included in differential diagnosis unless specific history, symptoms and signs are suggestive. Good start for the nation\’s health care providers. Centor criteria is used to decide antibiotics in pharyngitis. Role of Azithromycin? Amoxclav is expensive. Good to use existing days from Indian studies for common organisms in URTI or ICMR can sponsor a study for the same. Indian data with references would be useful.